In mid-June, NUSD embarked on a very large project to install new synthetic turf at San Marin High School, as well as at Novato High School. NUSD is also resurfacing the rubber running tracks at both high schools. While the project is going very well, there is a strong chance that the renovation project will not be completed in time for NYSA to hold our annual opening day parade. 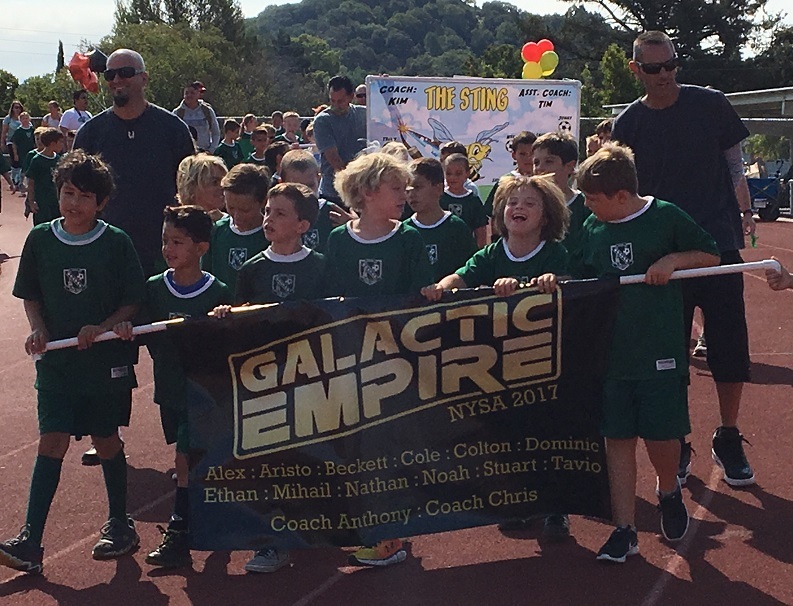 In consideration of our nearly 1100 players and their coaches, the NYSA board of directors looked at many options for holding the parade at a later date, following the season kickoff. Due to conflicts with the NYSA schedule and most teams participating in games each weekend, we felt that it made the most sense to cancel the opening day parade for the 2018 season. While we are very disappointed that we have had to cancel the parade, we are extremely pleased that NUSD is replacing the synthetic fields to ensure the safety of our players. We look forward to the return of the I Play Soccer Opening Day Parade in 2019, and wish everyone a wonderful soccer season.